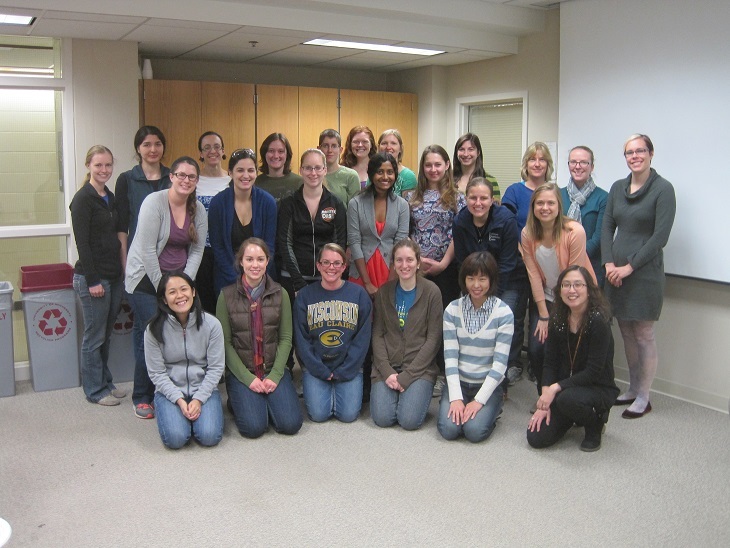 The Chemistry WISE team provides a networking resource for women graduate students and post-docs in the department, with the goal of increasing the recruitment and retention of women, and improving the climate for all chemists. Read more about the program in a paper presented at the CIC-WISE Best Practices in Mentoring Workshop. See also the article on women's networks in the fall ACS publication "Chemistry". Click here to post to the techwomen email list. Support WISE! Purchase a WISE mug for $5. Cobalt blue with the WISE owl logo in white. Make checks out to the University of Minnesota. The WISE TA for the 2015-2016 academic year is Sadie Otte. Science Mentors: contact Nicole Gagnon at gagno022[@]umn.edu. Funding for WISE events has been provided by grants received from the Women's Center and the Department of Chemistry.